Great reporting by the Choson Ilbo–which provides video footage (before and after) of the DPRK’s currency reform on the market in northern Onsong. 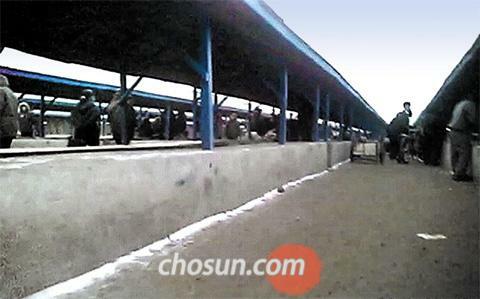 Video of the market is available from the the Choson Ilbo and ABC web pages. Footage taken in October shows a bustling market, but the same place in March is almost deserted, with only a few traders selling goods. In October, the market was overflowing with food, clothes, shoes, cooking oils, squid and other goods. But three months after the currency debacle, only a few bags of corn are visible in the stalls. Products that were part of South Korean aid shipments to North Korea can also be spotted. “Judging by the fact that the market was still deserted even in late March, it appears that retailers are waiting until prices go up even more,” said an official at the Unification Ministry. “The sale of goods picked up somewhat after North Korean authorities increased supply by importing products from China and other countries ahead of Kim Il-sung’s birthday” on April 15, a North Korean source said. Onsong market before the currency revaluation used to include both roofed and open-air stalls where unauthorized merchants sold goods on mats placed on the ground. The square in front of the train station was also a bustling market where traders sold products away from the watchful eye of the authorities. But in early March 90 percent of the stalls were empty. 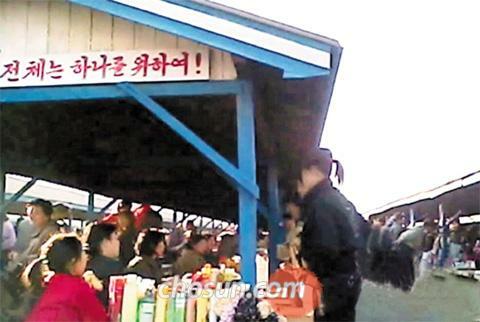 There was also evidence of South Korean aid products being sold in the markets. Bags of grain bearing the South Korean Red Cross symbol could be seen in various parts of the market. Some North Koreans used them as shopping bags. Goods sent as part of aid shipments by South Korea including grain bags are said to be very popular in the North. “There are rumors that high-ranking North Korean officials sold South Korean aid products in the markets, but none of them have been confirmed,” a Unification ministry official said. This particular market is not visible on Google Earth. The imagery is low-resolution and likely predates the construction of the market. See for yourself. You are currently browsing the archives for the Caleb Mission category.